We welcome enquires about having a child christened. Christenings can be held at any of the churches in the team, most often during a service at 12.30 on a Sunday. 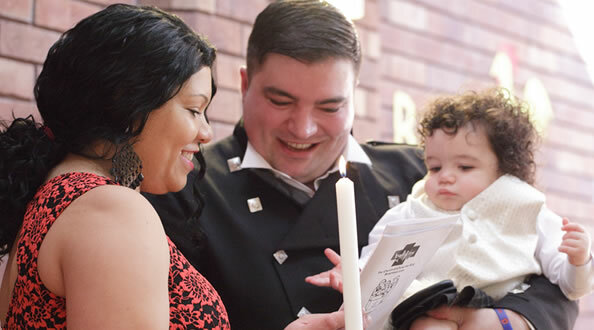 During the christening a child is baptised marking the start of their journey with God as parents, godparents, friends and the local church together help a child to discover the love of God for them. We look forward to meeting with you to talk about a christening service and all that the churches of the team have to offer children and families. Please contact either David (01384 565480) for all enquires.